A giant cotton picker in one of the fields of farmers Heath and Keath Killebrew, west of Yazoo City, MS, early October 2013. Can Cotton Make a Comeback in the Land Where It Was Once King? As you drive west out of Yazoo City, Mississippi, you pass the railroad tracks, fried-​chicken and crawfish takeouts, a car wash, and the Calvary Baptist Church. Coming off the high, arched bridge over the Yazoo River, you find yourself in the dead-​flat landscape of the Mississippi Delta. On this late-​September day, a few brittle stands of soybeans are waiting to be cut. But most of the ground is vacant, its naked furrows running to the vanishing point, its corn already collected in gleaming steel bins. There has been no rain here in sixty days, but this afternoon the sky is leaden, and wispy trails of precipitation can be seen tumbling in the distance. Beyond the cypress swamp rises the weathered silhouette of Hines Grocery, renowned for its seasoned pork chops and homemade sausage. I leave the highway and turn onto a dirt road, tracing the sinuous shoreline of Wolf Lake. On the right is a cotton field bursting with white bolls. At the far end, a great green contraption—​a cotton picker—​is churning across the landscape, emitting a bass rumble and a brownish haze. In this corner of the Delta, it is the first day of the cotton harvest. The picker belongs to Heath and Keath Killebrew, the identical twins who farm this land along with several other parcels straddling the hills and Delta. From his vantage point in the picker’s cab, Keath has spotted my car, and when he gets to the end of the row, he pauses so I can climb the metal ladder and take the seat beside him. He shakes my hand, his blue eyes and dark good looks hidden behind wraparound sunglasses. He began at nine o’clock this morning, he calls over the roar of the engine. If the weather holds, he will work until nine o’clock tonight, maneuvering in the glare of the picker’s headlights and eating his supper out of a Tupperware box. Keath is in high spirits. The start of picking is always cause for celebration, the culmination of months of work and worry. And the cotton looks good. In places the bolls are so thick that the rows seem to merge in an unbroken mass of white. Heath and Keath grew up in the small city of Lexington, some fifty miles northeast of here. I first met them when they were little boys dressed in camouflage jumpsuits, picking pecans one balmy Christmas along the banks of Horseshoe Lake. Their father, Zack, is my wife’s first cousin. Nine years ago I spent a season with Zack as he coaxed his crop out of the ground, an experience I wrote about in a book called High Cotton. From an early age, Heath and Keath wanted to do nothing but farm. Their favorite plaything was a miniature farm set with tractors, a planter, a picker, even a cotton gin, but the only thing they ever cultivated was the living-​room rug, because they prized the toys too highly to risk taking them outdoors. After high school, the twins worked briefly on an oil rig in the Gulf of Mexico and earned associate’s degrees at a nearby community college. At twenty-​two, they rented some land and began planting. Gradually they added acreage, until now their holdings—​some rented, some purchased—​stretch across parts of seven counties; they’ve bought an airplane to help close the distance. Keath lives in the town of Flora, in a brick house across the street from one of their fields. His wife, Alyssa, commutes half an hour to the state capital, Jackson, where she works as a psychologist. Heath lives seventy-​five miles to the north, in Greenwood, with his wife, Mary Taylor, and their two young girls. Though Heath tends to look after the northern acreage and Keath the southern, the brothers consult on every major decision. They are not only partners but best friends, they tell me, and though they have their share of arguments, the troubles blow over quickly. Whereas their father, Zack, once called himself a “betting man out in the cotton field,” his sons epitomize a scientific, businesslike approach to farming. Like all successful growers these days, they need to know not only how to mend an air hose but also how to overhaul a spreadsheet. At thirty-​seven, Heath and Keath qualify as youngsters in a place where the average farmer is nearly sixty. “We’re newcomers,” Keath says. “This is only our fourteenth crop.” But capitalizing on their youthful energy, they have done well, earning the respect of men many years their senior. This season, about a quarter of Heath and Keath’s land is planted in cotton. They also grow soybeans, corn, peanuts, sorghum, rice, winter wheat, and for the first time, sesame seeds. But 2013 was a strange year for weather, and the various crops bore it differently. First a late, wet spring delayed planting by up to a month. Then in June it turned uncommonly dry. Temperatures were abnormally low until the end of August, when the heat grew fierce. The cotton thrived in the cool weather while it was flowering and the hot, dry days while its bolls were maturing. The corn benefited from the mild June, when it was setting kernels, but the soybeans were stunted by the late-​season dry spell. Now comes the reckoning, when farmers climb into their pickers and combines and count their success in pounds and bushels. On the Killebrews’ land, Heath generally harvests the grains and peanuts while Keath brings in the cotton. The year that I spent with their father was a hard one, with two hurricanes, Rita and Katrina, blowing up from the Gulf just in time to threaten the labors of an entire season. But more than wind and rain were in the air that fall. Thanks to a worldwide glut, the price of cotton had been flat for decades, even as costs such as land rent, fuel, and fertilizer had climbed. On top of that, Congress was threatening to curtail its generous subsidies for the crop. And so cotton had seemed barely sustainable on the rich land that had been cleared for the express purpose of raising it, starting before the Civil War. As it turned out, the omens were true. The following year, 2006, saw cotton’s recent high-​water mark in Mississippi—​and the rest of the country—​with 1.2 million acres planted in the state, according to the US Department of Agriculture. (The all-​time peak for cotton in Mississippi was 1930, when more than 4 million acres were grown.) After 2006, the crop plummeted, until three years later barely 300,000 acres were planted statewide. For 2013, the National Cotton Council of Amv, but when the wet spring delayed planting beyond the window for corn, cotton acreage rose to 320,000—​still a drop of 73 percent from the season that I spent with Zack. Whereas several years ago Mississippi ranked second only to much-​larger Texas in cotton production, by 2013 the state had slipped to sixth place. Anyone driving through the Delta in recent years has been able to gauge cotton’s retreat. In Yazoo City and smaller towns, residents lament the passing of the region’s signature crop. And so I have driven out here on this overcast afternoon to see for myself the forces that have exiled cotton from its historic homeland and to ponder what its loss means for farmers, for others in the industry, and for the rest of us. As far as Mississippi is concerned, the term Delta is a misnomer. The grand river’s true delta lies some 300 miles to the south, in the bayous below New Orleans. The purported Delta, a 7,000-​square-​mile diamond occupying Mississippi’s northwest corner, is actually a floodplain, hemmed in by low hills to the east and south. For millennia, as the Mississippi, Yazoo, Tallahatchie, and other rivers overflowed their banks in the spring, they dropped their rich silt until the topsoil was 350 feet deep in places and the land was among the most fertile in the world. Whatever the region calls itself, for the better part of two centuries, agriculture here was synonymous with cotton. In the early 1800s, as demand soared for fiber to feed the northern and English mills, wealthy planters from neighboring states and from other parts of Mississippi began the decades-​long process of clearing the Delta’s tangle of swamps and canebrakes to make room for the “white gold.” And nature could scarcely have devised a better material to fuel the Industrial Revolution. Native to every continent except Antarctica, cotton is related to okra and the hibiscus, whose flowers resemble cotton’s own trumpet-​shaped blooms. Once fertilized, the blossoms develop into oblong green fruits called bolls, packed with fiber as remarkable as it is useful. One pound of cotton lint yields more than 150 miles of thread, stronger than iron wire of comparable thickness. And though cotton’s fibers are shorter than those of flax or wool, the others are not as economical, naturally white, or pleasing against the skin. Even in this age of synthetics, cotton is still the most widely used fabric on Earth, with some 50 billion pounds harvested every year, from China to India to West Africa to Brazil. The United States is by far the largest exporter, shipping the lion’s share of its cotton to textile producers such as China, India, Turkey, Indonesia, and Bangladesh. I hadn’t spent any time on a farm since 2005, but even before pulling off the road I could see that things had changed. The huge mechanical pickers, working six rows at a time, used to be fitted with a wire basket behind the cab, to collect the lint as it was stripped from the stalks. When the basket was full, the driver would stop and dump the contents into a large cart called a boll buggy. A tractor would tow the boll buggy to the edge of the field, where it would be emptied into a hydraulic box known as a module builder, which would pack the cotton into a block thirty-​two feet long and seven to eight feet high. A blue plastic tarp would be tied over the top, and there the module would sit until a flatbed truck came to carry it to the gin for cleaning and baling. In the field, the process required half a dozen workers to service each picker—​the driver, the tractor operator, and several others to manage the module builder, secure the tarps, and rake up the inevitable spills. The picker that Keath is driving this afternoon is painted the familiar John Deere green, and the headers, the scoop-​like mechanisms that strip the cotton, are the same. But there the similarity stops. The new picker is even more massive, and its rump is rounded like the back of a garbage truck. Gone is the wire basket for holding the bolls. Instead, Keath explains as we trundle down the rows, the fiber is collected inside the machine and compressed into a squat cylinder. When this “round module” reaches a diameter of 90 inches, it is automatically wrapped in yellow plastic and released onto a cradle in back, even as the picker begins assembling a new one. When the driver reaches a turn-​row, he can press a button and drop the completed module on the ground. Not only does the picker never stop, it never slows from its pace of five miles an hour. Keath estimates that the new pickers can cover as many as 120 acres a day, versus fifty or sixty with the old models. The process is also leaner without all that extra equipment—​and without the additional employees. Other than the driver, only one worker is needed now, to operate a tractor fitted with the long, lethal-​looking prongs that spear the modules and carry them to the edge of the road for pickup. The reduction in employees is crucial, because here in the Delta labor has never been simple. To plant, hoe, and pick their cotton, the early settlers brought African slaves, who by the decade before the Civil War had come to outnumber whites by five to one. Faced with emancipation and the loss of their workforce, all too many plantation owners twisted the practice of sharecropping into an insidious means of binding freedmen (and later poor whites) to the land. In the twentieth century, as machinery and chemicals increasingly performed work once done by human hands, millions of African Americans migrated from the South to seek the opportunity and relative freedom offered by cities such as Chicago and Detroit. Today in the Delta it can be a challenge to find good employees willing to work for the low wages that farming pays. With the new pickers, the farmer saves all those salaries (though he does incur hefty costs to buy and operate the high-​tech equipment). More important is the self-​reliance the new machines afford. Now if bad weather is forecast and a grower needs to get his crop out of harm’s way, he doesn’t have to round up his crew and hope they can put in long hours on short notice. He just climbs into the cab and goes. Though the pickers sell for more than $800,000, to Heath and Keath, and to other planters with enough acreage to justify the expense, they’re invaluable. The Killebrews have purchased four. If it weren’t for the devices, the brothers have told me, they wouldn’t grow cotton at all. This admission is surprising, because the twins, like their father, admit to a special fondness for cotton. They’ve named their venture Killebrew Cotton Company, after all, not Killebrew Corn Company. Keath tells me he never even saw a cornfield until he was fifteen years old. “If I could choose any crop to raise, it would be cotton,” he says. Part of the appeal is the plant’s handsomeness in the field, with its pale-​yellow blossoms and bright-​white bolls. 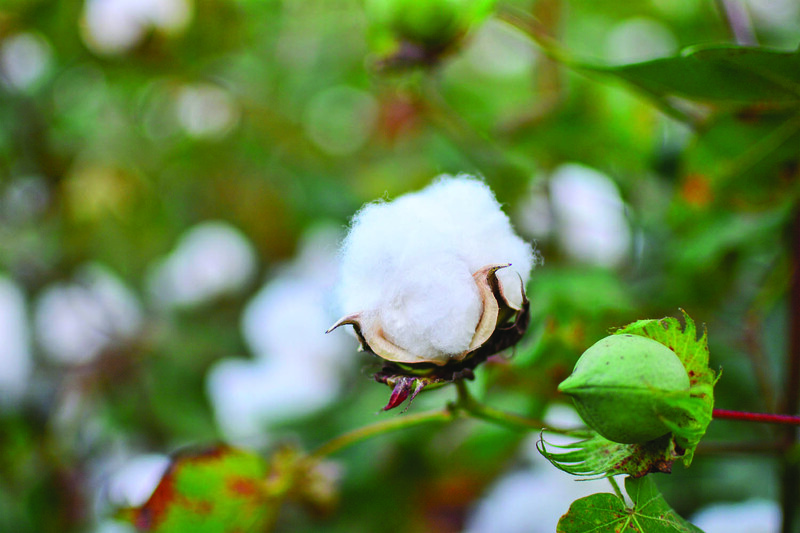 But part of the draw is also that cotton requires more attention than corn or soybeans—​more applications of fertilizer and insecticide plus doses of chemicals that grains don’t need at all, such as growth regulator (so the plants don’t become leggy) and defoliant (to strip the leaves in preparation for picking). The fact that cotton is laborious makes it an engaging crop to raise and one that rewards good stewardship. When I once asked Heath whether he worried about the environmental effects of all those chemicals, he expressed impatience with the question. For one thing, herbicides and insecticides are now applied in much smaller doses than they used to be. And the chemicals are safe as long as you follow the Environmental Protection Agency’s guidelines on the label, he told me. As for genetically modified plants, “They are the only way to feed people. You can either starve to death or you can eat GMO crops.” While organic alternatives are fine for the wealthy, he added, most of the world simply can’t afford the luxury. Other farmers I’ve spoken to, in different words and with varying vehemence, have echoed that sentiment. As for cotton, roughly 90 percent grown in the United States comes from genetically modified seeds. Despite the Killebrews’ partiality to cotton, every winter when they sit down to plan the coming season, hardheaded economics prevents them from devoting as much of their land to the crop as they might like. And so, to learn how farmers make their planting decisions, on another warm September day I drive up the Delta to Stoneville, where Mississippi State University maintains a research and extension center. It’s an impressive 1,650-​acre campus, with signs announcing facilities such as the Cotton Ginning Research Unit (run by the US Department of Agriculture) and the Thad Cochran National Warmwater Aquaculture Center. A sign on the door exhorts employees to clean their boots. Down the hall, across from rice-​ and cotton-​testing laboratories, is the office of Dr. Larry Falconer, an agricultural economist. Falconer is tall, with glasses and a trim salt-​and-​pepper mustache. Though we’re roughly the same age, out of lifelong habit he addresses me as “sir.” His forebears lived in Mississippi before the Civil War, he tells me, but his branch of the family relocated to Oklahoma, where he grew up on a wheat and cattle farm. After earning degrees at Oklahoma State and Texas A&M, he moved to Massachusetts to work in the agricultural division of a large consulting firm, where his duties included managing the soybean portfolio. Later he performed research on farm and ranch management at Texas A&M, before coming to Stoneville nearly two years ago. Farmers consider several factors in deciding what to plant, Falconer explains. One is the type of land they have. Clay is better suited for rice than for corn, for instance, while peanuts need a sandy soil. If a field can’t be irrigated, as in the Mississippi hills, where the aquifer may be prohibitively deep, a thirsty crop like corn would be a risky choice as well. Growers also must have, or be able to acquire, the necessary equipment, since a grain combine is no help when it comes to picking cotton. And everything else being equal, some farmers prefer a particular crop, so just as the Killebrews appreciate the hands-​on management demanded by cotton, a neighbor may tend toward the greater predictability of corn. One factor that Delta farmers don’t consider in making their planting decisions is crop subsidies, since the government programs don’t favor cotton over grains or vice versa. A farmer’s fundamental consideration, Falconer says, is relative profitability, or how much money can be made raising one commodity versus another. Part of that calculus involves the costs of growing a crop, which farmers call “inputs,” including applications of fertilizer and insecticide. Some plants, such as corn and especially cotton, require more inputs, while others, such as soybeans, are cheaper to grow. But by far the greatest factor in relative profitability is market price. To estimate their revenue, farmers make a simple calculation: expected price ≈ expected yield ≈ number of acres. If cotton is selling at 70 cents a pound and you can harvest 1,000 pounds per acre, on a per-​acre basis you will gross $700. Deduct your inputs, which may come to $400 not counting overhead such as land rent and equipment, and you would be left with $300 per acre. On the other hand, if corn is selling for $7 a bushel and you can harvest 170 bushels to the acre, that comes to $1,190; subtract your inputs of perhaps $350, and you realize $740—​more than double what you could make growing cotton. Of course, things have a way of looking simpler on the back of an envelope than in real life. What if the market for corn drops between March, when you’re planting, and August, when you harvest? To lock in an advantageous price, Heath and Keath, like other farmers, often sell a sizable portion of their crops before they even sow them. But what about the rest of their production, still subject to a volatile world market? What if farmers in the Midwest are graced with a spectacular corn crop, increasing supply and driving down prices for everyone? What if the economy takes a tumble and the world can’t afford to buy so much cotton clothing? What if it’s unusually hot in Mississippi in June, when your corn is setting its kernels, and you yield only 150 bushels to the acre? What if a late-​season storm strips your cotton from the stalks before you can pick it? Or conversely, what if floods in China wipe out the crop there, and you suddenly wish you’d planted nothing but cotton? Faced with all these uncontrollable variables, farmers play the odds. And the odds have generally favored corn since 2007, the year that President George W. Bush signed the Energy Independence and Security Act, mandating increased production of ethanol, for which corn is a major source, as an additive to gasoline. In 2013, about 30 percent of the US corn crop ended up not in the bellies of livestock or humans but in the fuel tanks of cars and trucks. As demand for corn soared, prices followed, going from $2 a bushel in 2005 to $7.20 in 2012. Food prices rose in consequence, and corn was planted on land once considered marginal for crops, driving out native plants such as milkweed, the only food of imperiled monarch butterfly larvae. Over that same period, cotton prices shifted up and down, ranging from a low of 48 cents a pound in 2008 to a high of 88 cents in 2011. But now there are signs that the market for corn has crested. In the short run, he explains, prices are affected more by supply, while in the long run they’re driven more by demand. And even as the supply of corn has been rising, the demand for ethanol has been falling, due to lower gasoline consumption and increased domestic oil production. Congress has allowed an ethanol tax credit to expire, and the Environmental Protection Agency has proposed reducing the percentage of it added to gasoline. In 2013, corn prices tumbled from more than $7 a bushel to barely above $4. Does that mean that corn will retreat from the landscape and cotton will recapture some of its lost acreage? Before we consider that question, let’s look at another: Why should we care? For one thing, farmers aren’t the only ones with a stake in the outcome. Gins are the places where cotton is transformed from a raw agricultural product into a fiber ready to be spun and woven into cloth. This is accomplished by stripping the lint of “trash” such as leaves and stems and by removing the seeds, which can make up two-​thirds of a cotton boll’s weight. The trash is discarded, and the seeds are either fed to livestock or pressed into oil, most of which finds its way into fried foods and processed baked goods. To see how gins are surviving the downturn in cotton, one day I drive to the community of Quito, a few miles south of the Delta town of Itta Bena. There has been a gin at Quito since 1904. The current one, built in 2005, is where Heath and Keath Killebrew’s cotton is processed. Like most gins, Quito is a large, squat building constructed of corrugated metal. Like all gins, it’s full of outsized, raucous equipment. Cotton modules are loaded onto a conveyor belt and the fiber is sucked via metal ducts into “saws,” where (in a process essentially unchanged from Eli Whitney’s famous innovation of the 1790s) the lint is pulled through metal ribs, freeing it from the seeds. At the far end of the gin, the cleaned cotton is compressed into bales of about 500 pounds, which are slipped into a plastic sleeve and carried to a warehouse to await shipment. But at least Quito is still in business. In 2000, there were 109 cotton gins operating in Mississippi; by 2012, there were fifty-​five. To survive, Quito has had to become more efficient, and that has meant trimming its workforce, which consists of local residents as well as Mexicans who come north for the harvest. Whereas the company used to run two twelve-​hour shifts seven days a week, it now has one shift five days a week. Cotton had reigned so long in the Delta that it seemed its dominion would last forever. But today corn and soybeans simply don’t drive as much money into the local economy as cotton used to do. Unemployment in some communities runs at twice the national average and, decade by decade, the Delta’s population has fallen, until now the region claims fewer than half the residents it did in 1940. Even as in antebellum days, those who remain are predominantly African American. But now in Yazoo City, as in most Delta towns, Main Street is a pretty lonely place on Saturday night. As central as cotton’s financial contribution to the Delta has been, its cultural influence is perhaps even more pervasive. The Delta’s cotton fields gave birth to that tortured howl known as the blues, a uniquely American form rooted in African work songs that laid the basis of popular music from jazz to rock and roll and beyond. And something deep in the fabric of the Delta—​the outsized personalities, the notoriously wild living, the risk-​taking (both in the cotton field and at the poker table, where plantations were won and lost in a single night), the love of a good story, the mélange of races, the enduring chasm between rich and poor, the overall misery index—​has produced an unseemly abundance of noted writers, such as Hodding Carter II, David L. Cohn, Ellen Douglas, Shelby Foote, Ellen Gilchrist, Willie Morris, William Alexander Percy, Elizabeth Spencer, and Donna Tartt. The Delta was cleared in the name of cotton, its economic and social patterns were devised in the service of cotton, and the grasp of cotton is still felt today in the region’s febrile, fertile culture. Ferris grew up on a farm in the nearby hills of Warren County. “Cotton was what was done” in those days, he says. “If you had a farm, you raised cotton. Large or small, everybody was growing cotton.” But the land was marginal for row crops, and after his brother took over the family farm, he increasingly opted for federal subsidies to plant trees instead. Does Ferris feel nostalgia for cotton? “There’s a lot of sentimental association” with the crop, he acknowledges. But reforestation returns the land to “an environmentally wise way of farming, which is to create an ecosystem that absorbs carbon and generates income but without pollution… . When you plant trees you create an ecosystem that the birds and the deer and other wildlife are drawn to. And so it has a positive effect in many ways.” The land continues to generate revenue on top of the subsidies, through sustainable lumbering and lucrative rental to hunters, who are increasingly important to the local economy. 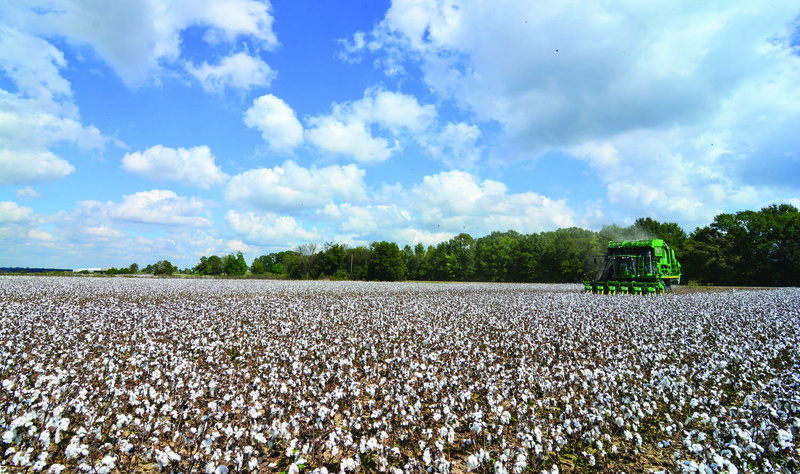 Mississippi farmers have an edge with cotton, he points out, since the state is one of the few places with the ideal climate for growing it. But corn isn’t suited to the area’s blazing summers. “If it gets real hot,” he says, “there ain’t even enough water to throw at corn.” As for soybeans, which are less expensive to grow but also bring a lower price, “You show me a guy who sows soybeans ten years in a row, and I’ll show you a guy who was broke three years ago. The markets aren’t stable enough and the weather’s not stable enough” to grow grains in Mississippi year in and year out, he believes. But Grossman is voicing the minority opinion. Everyone else I spoke with, from farmers to economists and from historians to brokers, believes that although cotton will continue to have a place in Mississippi agriculture, and may well expand its current historically low acreage, it will never regain its former hegemony. One factor is the advantages offered by crop rotation. When a single crop is grown year after year on the same land, it exhausts the soil’s nutrients and creates an ideal environment for pests such as insects and fungus. But when a different plant is sown every second or third year, yields improve for both crops, even as costs fall and soil and groundwater are burdened with fewer chemicals. 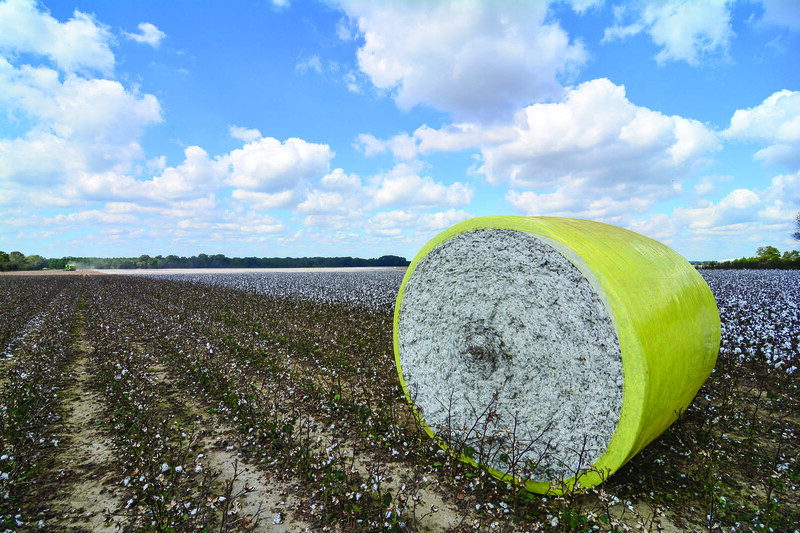 It happens that cotton and corn are a particularly beneficial rotation—​and by definition, that means planting both crops, not the exclusion of one or the other. Another factor limiting cotton’s comeback may be the loss of infrastructure to grow and process the crop. Farmers who have sold their cotton pickers to buy combines and to build grain bins may hesitate before signing a note for the pricey new models. As even Grossman points out, “It’s hard in agriculture to make long-​term investments in infrastructure when you have such short-​term markets.” To encourage farmers to plant more cotton, Quito Gin has ordered six pickers, which they will rent to farmers who don’t have the means to buy their own. What about all those shuttered gins? Could the surviving facilities handle more cotton even if it were grown? Byron Seward, who managed a gin for three decades in addition to farming, believes they could, either by expanding existing facilities or by building newer, more efficient ones. Shifts could be added, and the ginning season extended. 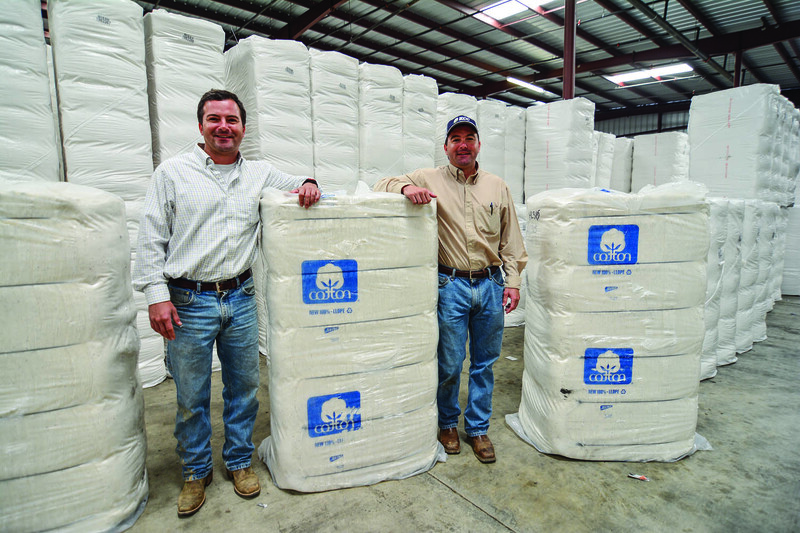 Thomas Valco, Cotton Technology Transfer Coordinator at Stoneville, estimates that existing gins could handle perhaps twice their current workload. The loss of infrastructure is “very much a concern,” he says, but will turn around if the economics dictate. Another consideration is what Seward calls “the lifestyle factor.” As agricultural consultant Nick King points out, the more different crops a farmer raises, the more complicated his life becomes, since it seems there’s always some major operation to perform. And he says, “Something’s happening on a cotton farm from the day you plant it to the day it comes in.” Corn and soybeans take less of a farmer’s time over the course of a season, leaving him more hours to go fishing with his grandchildren. Whereas Heath and Keath Killebrew value the “art” of growing cotton, some of their neighbors are more appreciative of the extra leisure afforded by grains. Though his family began raising cotton eight decades ago, Seward says definitively that he is not a cotton farmer, “just a farmer farmer.” And though he may mourn the passing of the Delta’s unique culture, he doesn’t believe that planting should be driven by sentiment but by sound business practices, which behoove growers to be “good stewards of the soil.” Keath Killebrew agrees. “Good land makes a good farmer,” he tells me. “You can write that down for sure.” Brother Heath says, “If you take care of the land, the land will take care of your crops.” Heath harbors no sentimental regard for cotton either. “The attachment I have,” he says, “is to the land.” Crops may come and go, chasing market fluctuations and relative profitability. But the land endures. Above the Killebrews’ land on this first day of cotton picking, the clouds grow heavier, until sprinkles of rain dot the picker’s big curved windshield. Cotton can’t be harvested wet. For one thing, moisture encourages the seeds to sprout inside the tightly packed modules, generating heat that could lead to fire. For another, the damp lint clogs the picker’s headers. As Keath struggles to finish the module he’s assembling, he has to jump out of the cab in the drizzle, open the header doors, and yank out handfuls of soggy fiber. The next two months will be hectic and stressful, with the inevitable equipment failures and spells of bad weather. If all goes well, Heath and Keath should be finished picking their cotton by mid-​November. But this afternoon, before Keath reaches the end of the row, the picker’s headers re-​clog and he has to climb down and free them again. Gerard Helferich is the author of High Cotton: Four Seasons in the Mississippi Delta (Counterpoint, 2008), which received the 2008 Author’s Award for nonfiction from the Mississippi Library Association. His other books include Theodore Roosevelt and the Assassin: Madness, Vengeance, and the Campaign of 1912 (Lyons, 2013), Stone of Kings: In Search of the Lost Jade of the Maya (Lyons, 2012), and Humboldt’s Cosmos: Alexander von Humboldt and the Latin American Journey That Changed the Way We See the World (Gotham, 2004). A member of the National Book Critics Circle, he publishes book reviews in the Wall Street Journal. John Montfort Jones’s photography of the Mississippi Delta has been featured in Delta magazine and in the book The Delta: Landscapes, Legends, and Legacies of Mississippi’s Most Storied Region, which won a gold medal in the Independent Publisher Book Awards. I grew up in the town of Louise, MS and know Mr Seward and his family as well. I just wanted to pay my compliments to the great photo work you did for this article, including the online slideshow. Thank you for not making the online versions of your photos into little 1 or 2 inch postage stamp versions, as too many seem to be, these days!